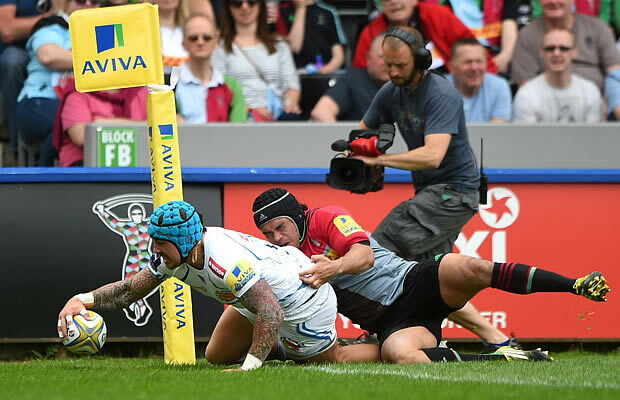 Exeter Chiefs scored ten tries as they hammered Harlequins 24-62 to secure a home Aviva Premiership Semi-final. The Chiefs will host third placed Wasps in their maiden Premiership play-off campaign. Referee :Wayne Barnes (169th Premiership game). Assistant Referees: Paul Burton & Nigel Carrick.